All sorts of stars enjoy catching live music, so you never know who might turn up at a show near you. Sometimes they're in attendance because they're huge fans, and other times because they are awesome parents. 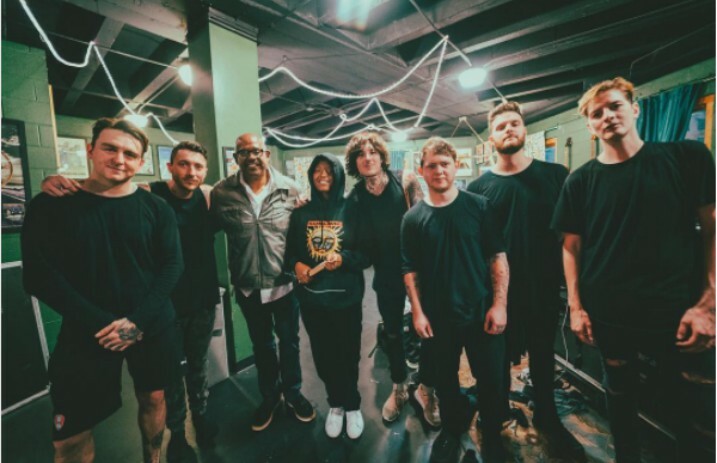 We'll assume the latter on this one, as Academy Award-winning actor Forest Whitaker joined his daughter Sonnet, who is 20 years old, at the Bring Me The Horizon show this past Saturday night at The Tabernacle in Atlanta, Georgia (via ThePrp). Whitaker even took to Twitter to post footage of what he called an “amazing concert.” You can see this below, along with a full group picture with Bring Me The Horizon. Mr. Whitaker even got the coveted selfie with Oliver Sykes! Can you believe this happened?! It's pretty cool to see the famed actor, producer, and director enjoying the show with his daughter, and the band seemed happy to have him. Whitaker is known for his roles in movies such as Platoon, The Last King Of Scotland, The Butler, and Emmy Award-winning TV series, The Shield. Bring Me The Horizon are currently out on The American Nightmare tour with Underoath and Beartooth. Check out the tour's remaining stops below!